﻿ Avenue Suites, Bacolod (Negros Occidental) | FROM $32 - SAVE ON AGODA!
") and their airport transfer service is very much awesome." 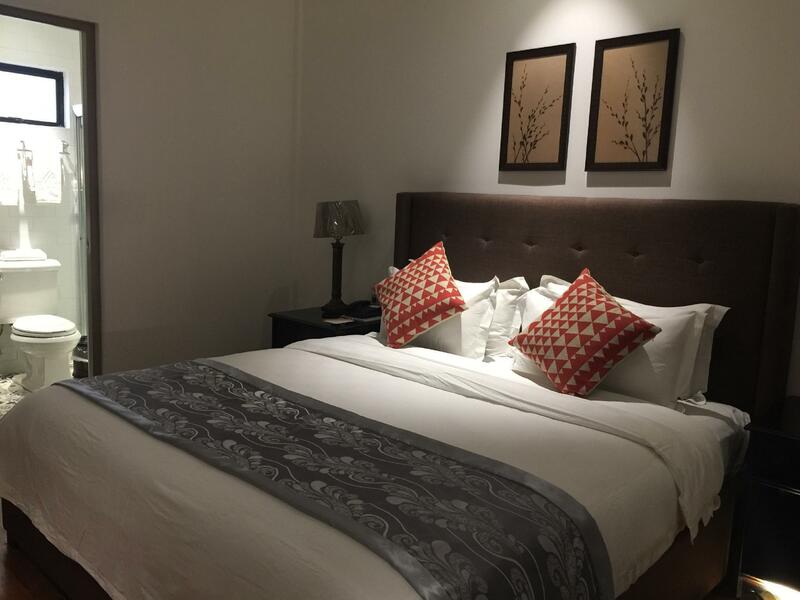 Have a question for Avenue Suites? "The staff was helpful to assist us." "Nice place and location for a short stay"
"Nice location and place, though." "The hotel is excellent, my son enjoyed the pool." 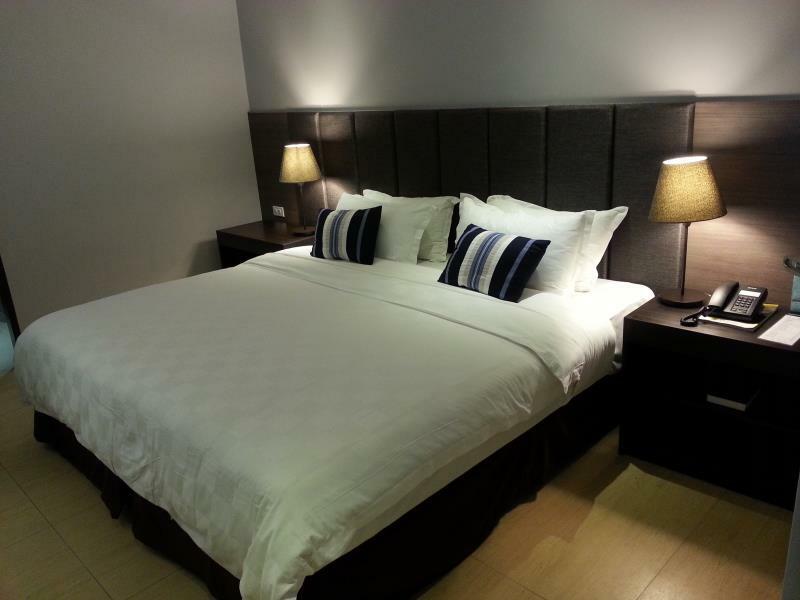 If what you're looking for is a conveniently located hotel in Bacolod (Negros Occidental), look no further than Avenue Suites. Only from the city center, the hotel's strategic location ensures that guests can quickly and easily reach many local points of interest. 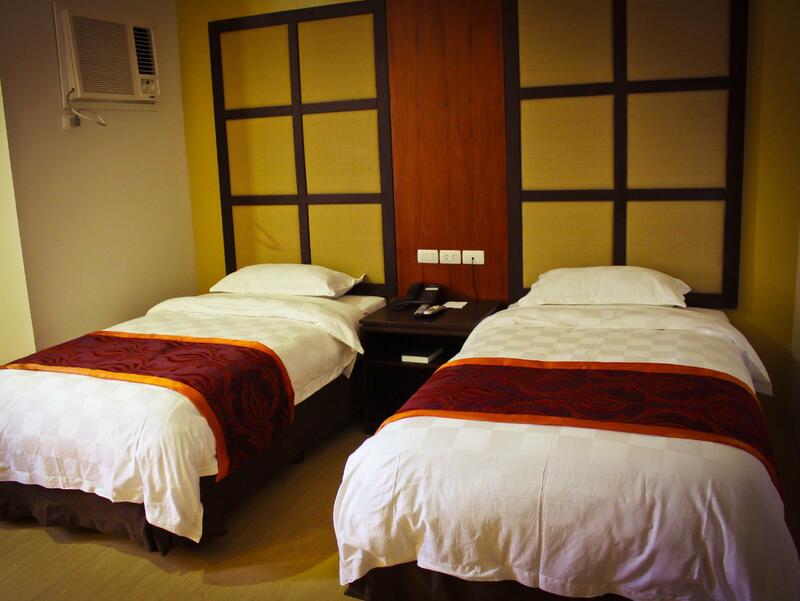 No less exceptional is the hotel's easy access to the city's myriad attractions and landmarks, such as ANP Negros Showroom, Provincial Capitol Lagoon, Bacolod Metro Poker Club. 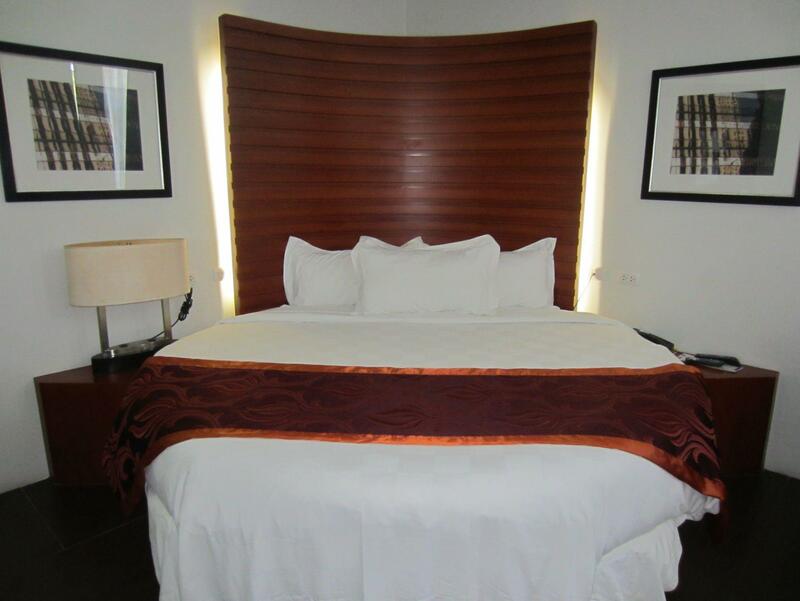 At Avenue Suites, the excellent service and superior facilities make for an unforgettable stay. A selection of top-class facilities such as 24-hour room service, free Wi-Fi in all rooms, facilities for disabled guests, express check-in/check-out, Wi-Fi in public areas can be enjoyed at the hotel. Step into one of 57 inviting rooms and escape the stresses of the day with a wide range of amenities such as television LCD/plasma screen, internet access – wireless, internet access – wireless (complimentary), non smoking rooms, air conditioning which can be found in some rooms. The hotel offers fantastic facilities, including sauna, spa, massage, garden, steamroom, to help you unwind after an action-packed day in the city. Discover an engaging blend of professional service and a wide array of features at Avenue Suites. The property requires a refundable security deposit of PHP 2000 upon check-in. I like the place very accessible, place is clean and the staff are friendly, coffee shop is also nice place. I will recommend to my friends. Three points only: 1. Very good location but with a limited parking area for the guests. 2. Staff was very friendly, especially at the front desks. 3. Needs more security in the sauna (for men) which is not free for the guests. This was not a good experience. The hotel signage promotes its excellence in service but it failed to deliver during the 2 stays I had. First visit - a 2000 peso deposit was requested on arrival. I asked why and was told in case i consumed something in room but there was nothing in the room except 2 small bottles of water. There was a kettle and cups but no coffee or tea and an empty fridge which was not working and had to be replaced. Second visit - the sink in the toilet was plugged and did not drain properly. The water temperature in the shower kept shifting from too hot to too cold. When i requested a late checkout after staying there for 5 nights they agreed providing I paid a 10% surcharge. I declined. Beautiful and clean pool, delicious cafe with free breakfast you can order from the menu, comfortable room with huge windows and a nice shower, friendly staff, excellent location, and more. I really enjoyed staying here. I have been a regular in Avenue Suites every time I travel to Bacolod for work. It is good that they did some upgrading (e.g. cafe, pool, bidet, etc.) and their airport transfer service is very much awesome. However, what I don’t like is that they require their guests to make a deposit even if the room is already paid plus they charge corkage on food that you bought outside. And then there’s a problem with clogged sink which I already reported but sadly their housekeeping failed to fix. I really enjoyed my stay in Avenue Suites. The bed and pillows were comfortable, the toilet and bath were clean. However, the one thing lacking from my room are windows. It would have made a huge difference. But still, my room was sufficient. The highlight of my stay is the resto/cafe on the ground floor. The decor was tasteful and quaint and the food was excellent, which includes the breakfast! The coffee and tea were excellent as well! Will want to stay here again and try the spa next time! Incomplete toiletries, no toothbrushes and toothpastes. No bedroom slippers, I think you need to classify your establishment as budget hotel. Wi-Fi is intermittent, don't know with other travellers but for me this is vital. Please improve your lghting in the bathroom. near restaurants and the park.good for morning walk.pool was nice too. This was my first time to the Philippines and maybe everyone is as nice as the staff here, but I do not think so. We were in and out lots. And every time we went by the front desk or passed any staff member they were very kind and made us feel like we owned the place. It was a great 6 night stay. I tried to book for the same day while on our way to Bacolod, last December but did not notice that the default month was January. I noticed it only after i paid for it already. When we arrived a few hours later, i tried to explain to the receptionist, and she said they were aware of my mistake, she even mentioned my name. But when i asked if I can use my payment for that day instead, she said no because it is non- refundable. I understand that its the hotel's decision , They could have just reconsidered my case knowing that it was obviously booked by mistake. She said so herself that they were aware of it. The family room we booked for (which was quite expensive) was not available when we arrived, but we were willing to take the two rooms that were available even if we have to pay more, as long as we can use the payment that we paid by mistake. But they would not reconsider. We came to Bacolod very excited.. This really made our family vacation very dissappointing and sad. Booked a Superior DeLuxe Room for 4D/3N for our family of 2A/4C. Check-in was a breeze. The staff at this hotel were all friendly and accommodating. The location of the hotel is perfect for a tourist like us - at the heart of the downtown area and very near landmarks, famous eateries, malls, etc. Our room was at the far end of the 3rd floor (far from the elevator). The room is small but clean, with cable TV, ref, safety deposit box, desk, and a wardrobe cabinet. There was an electric kettle but no free coffee. We were given 2 free small bottles of water per day, and very basic toiletries - small soap, shampoo, and toilet paper only (that's it). The bathroom has hot and cold shower and the toilet has a bidet. The aircon is an old, noisy, window type and next to the headboard which can be annoying. The free breakfast was austere - egg, ulam, rice. The hotel policies was disappointing: No outside food or drinks allowed. No free towels at the swimming pool. Only cash deposit is accepted. Booked a number of rooms with separate guests names and had to leave for Manila in an emergency, and it took a while for the receptionist to agree on room assignments. Nice place and location, though. They charge iron rental per hour - which is something I haven't seen in a long time in my travels. It's normally free for travellers as you would expect clothes to get wrinkled. Just a little something to show you are in tune with your guests' needs. 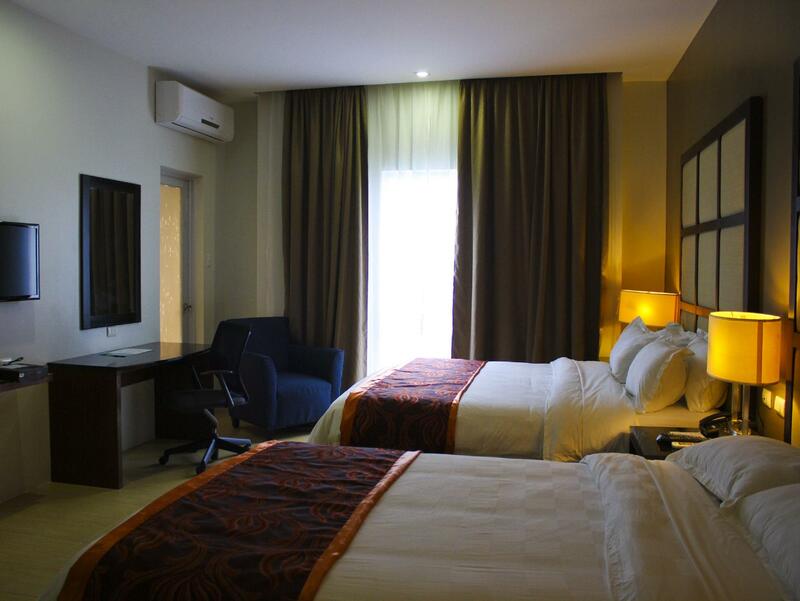 The hotel is very convenient to restaurants, malls and located at the center. Value for money is good. However, lack of staff in the front desk only 1 person attending to all task. Restaurant service is too slow. The location is perfect, it's located along Bacolod's main road. Almost everything is just a walk away. The room is nice and we had a great view. The bathroom has a bidet (which is uncommon in hotels in the country) and the hot and cold shower works perfectly. My only complain about the room is there's a lack of light. At night the room is a bit dim. It feels like there's no main light in the room. The staff is very helpful and professional. Overall I would definitely stay at the hotel again on my next visit in Bacolod. Good location but a bit noisy beside the street. I complained of ongoing construction noise a floor above my suite on Sunday morning and afternoon! Facilities a bit old . Refrigerator in room not working.